Is There a Way to See Deleted Messages on iPhone? Sending messages to our loved ones on every occasion, or in an emergency or even in normal conversation is a good way to be in touch with them. But what if those important messages get deleted or lost by mistake? This will be a serious nightmare for anyone of us. Commonly we think that the messages in the iPhone we just deleted will never be retrieved or it is not in the memory of the phone as it is completely gone. To back up your iPhone device first you have to sync iPhone iOS device with iTunes or . After syncing iPhone to iCloud or Itunes, there will be an updated backup of your phone every time you sync. If a user has not synced his iPhone, then he will not be able to recover the iPhone deleted or lost data. 3. Select the IPhone made in a box at the top right hand corner. 5. The previously backup data will replace the data on your phone in a few minutes. 6. Now, those deleted text messages will appear in the normal messaging list. This is perhaps the easiest way to recover those deleted messages. 1. Login to https://icloud.com with your Apple ID and password. 3. Now, search the messages that you want to find. 4. Now in your iPhone, choose Settings>iCloud. 5. Turn off Text Messages bar. 6. There will be pop-up, and there, select ‘Keep on My iPhone’. 7. Now turn on Text Messages bar. 8. 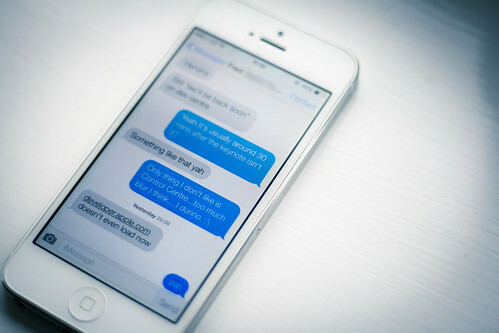 Tap ‘Merge’, and after a while, the deleted text messages will appear back on your iPhone. If you are still not able to retrieve messages, then use third party recovery tool, which will scan the whole iOS device to recover your deleted or lost messages. It may happen that for some users, the above stated manual methods may not work as they should. The way to retrieve deleted texts from iCloud backup may also not work in all territories. So, in that case, this is the time that they should go for third-party app that appears to have a very good online reputation and the tool that will be able to retrieve all your lost messages in a single click. For this, Stellar Phoenix Data Recovery for iPhone will work in the best to safely and completely recover documents, messages and attachments, contacts, notes, calendar, from your iPhone. This tool has the capacity to recover even the bookmarks that were deleted, including the calendar entries also. The most distinguishing feature of this utility is cross-compatibility with the Windows OS-based PCs. Just with a click of your mouse, recover all your deleted messages of your loved ones in a short span of time. Next story How to Fix the HTTP 500 Internal Server Errors in WordPress?